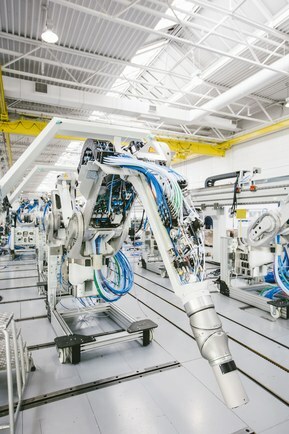 When it comes to the cabling – such as the drive system and the control system – that enables the robots to enter operation, Dürr relies on the expertise of the Lapp Group. 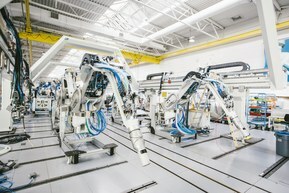 Each robot type carries out different movement sequences and is constructed in a different way, meaning the cable systems face all manner of challenges too. In terms of exceptionally challenging applications, which are frequently requested, off-the-shelf products often simply cannot deliver the perfect solution. The Lapp Group, with its robotics specialist, Lapp Muller, has been working intensively in the area of robotics for more than 30 years and produces control and data network cables, special cables and the corresponding assemblies.